a vAvalanche Studios is working with Expansive Worlds, which is a subsidiary of the former, to put out the next title in their theHunter series. 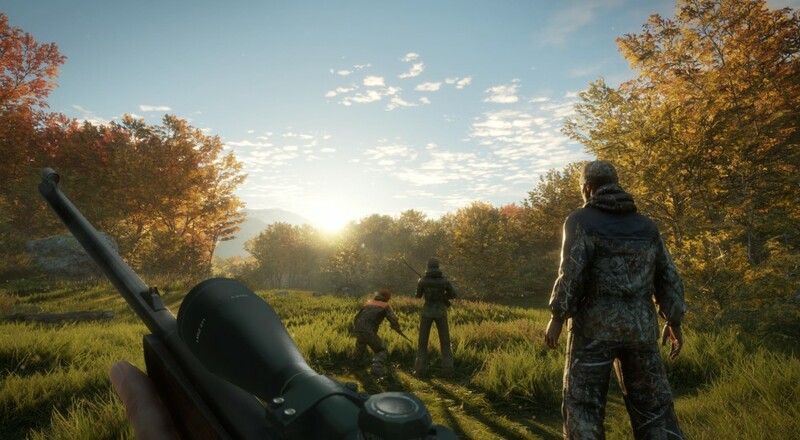 theHunter: Call of the Wild allows up to eight players to team up to track and hunt wild game in an expansive open-world environment. It's like Evolve, minus the whole mechanic of your healer constantly jetpacking into a wall. It sounds like theHunter: Call of the Wild will be using the same open world engine, Apex, that Avalanche used for Just Cause 3. Players can expect a full day/night cycle, a variety of terrain to explore, and a menagerie of game to hunt. The details on what the co-op will entail are sketchy right now, there's just mention that it will support up to eight players and offer "cooperative modes." theHunter: Call of the Wild will be released in the spring of 2017 for PC via Steam. Page created in 1.2149 seconds.